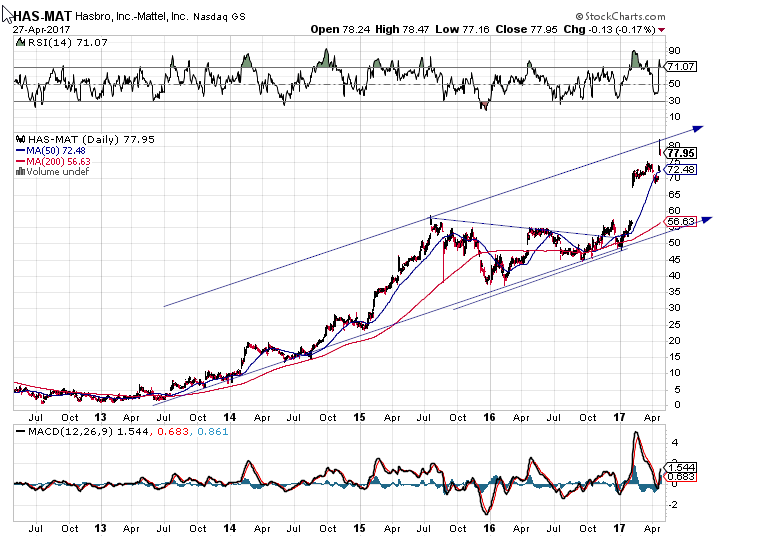 The spread between Hasbro and Mattel that we spoke about a few months ago, has now widened to the point where it reaches the upper trend line. The spurt up after the lengthy consolidating period has all the earmarks of a 4th wave triangle followed by a thrust, even if it does not appear to count that way properly. In any event there is a big gap that often needs to be closed so it looks like a pretty good spread trade.